Following the Mr Light saga, the light-made man. 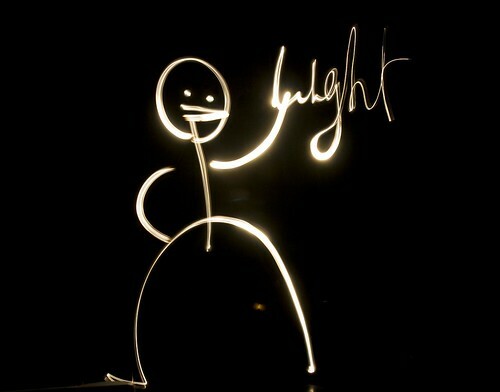 Mr Light is having fun with light painting. Mr Light doesn't need a flash light. See Mr Light: being hungry,working, eating, watching TV, cooking, light painting, taking pictures, doing the dishes.